I’ve been obsessing over front tie dresses this summer and I gathered 5 of my favorite dresses this season, the best part? They are all under $50! 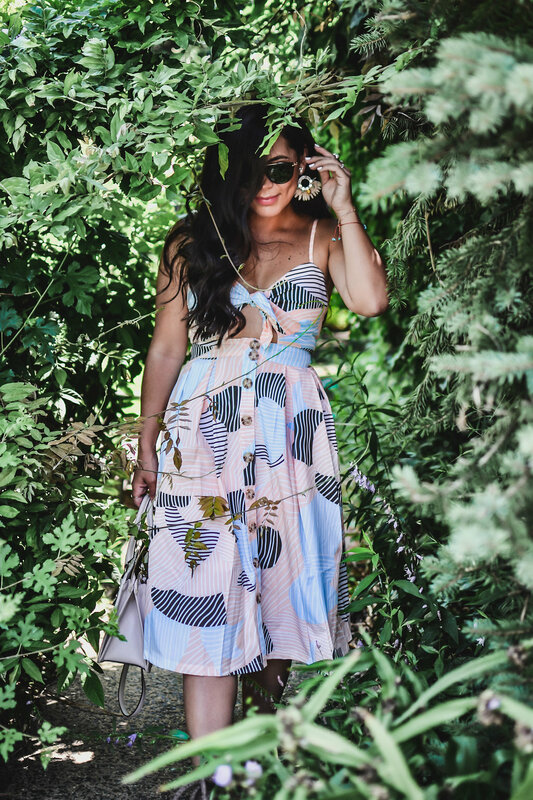 You babes know I'm all about a great find, especially on trendy pieces and these summer dresses are perfect for so many occasions. I love that they are airy and feminine but still bold and chic and can be worn a couple of different ways. You’ve seen me wear two of these lately and I can’t wait to wear them again. You can wear them with a moto jacket for fall and even pair any of these dresses with statement shoes (even cute tennis shoes!) and you are ready for the weekend. Here’s how I wore this one that I got from Forever 21 just a few weeks ago. I love how light this dress is and you can find it for under $30 HERE. 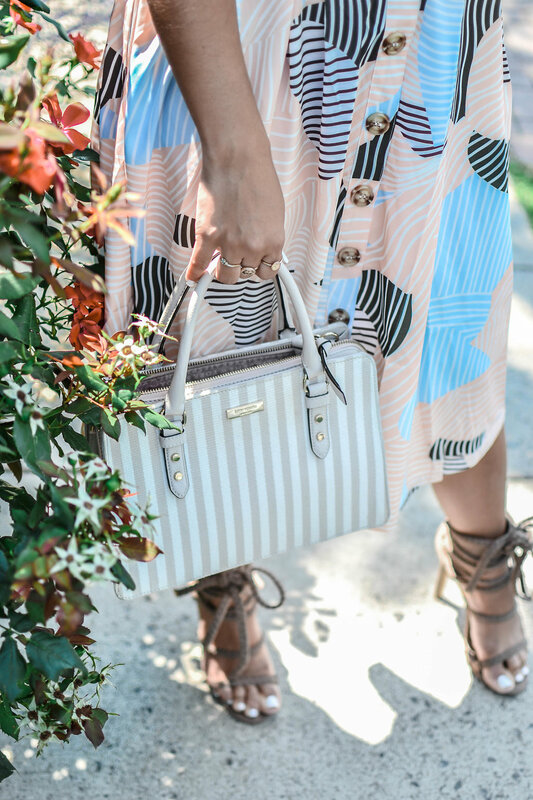 I wore it with these super old sandals and my go-to Kate Spade bag (it’s my everyday bag!). If you have followed me from my early days then you know I love mixing prints, it adds statement to any look and takes the style from basic to fab in minutes. Summers are full of events, BBQs, birthday parties, beach weekends and so many fun celebrations, so here are the 5 affordable dresses I am loving this season. Are you a fan of this style? Stay tuned for the next style post will be what you have been requesting: Office Outfit Ideas!